Grand Prize x 1 winner: Painting package worth up to RM10,000 comprising a redecoration of your nominated house space in Malaysia by a professional painter from Dulux Malaysia and using Dulux Paints. 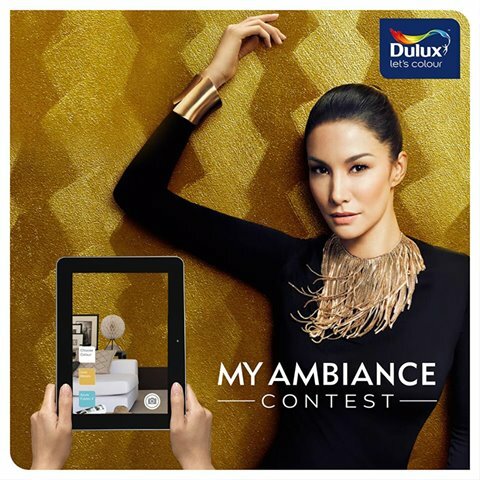 There are three ways to participate in the Dulux MY AMBIANCE Pearl Glo Contest – Post your entry on your own Facebook or Instagram (be sure it is set to Public for Dulux Malaysia to track) or as a comment on Dulux Malaysia's Contest Post. All contest entries must include the hashtag #DuluxMYAmbiance. Send to Dulux Malaysia a clear photo of the room or space you’d like them to personalize. Answer five simple trivia questions to find out your ideal Ambiance. Visit My Ambiance Contest for more details.